I am a Reflexologist of 44 years old with two teen-age children and I started on this programme after having tried everything else to lose weight! I would get a bit of weight loss and then put it all back on plus a bit! My “wake-up” call to seriously do something was my wedding in March. I decided to rent a wedding dress but found that in a size 18, I could only get wedding clothing that made me look like a glamorous sack of spuds! Within a week on the weight loss products, two things happened – I lost weight, which was amazing but the main thing I noticed was that my energy levels shot up. No longer was I “flagging” at 3pm and asleep by 9 in the evening! 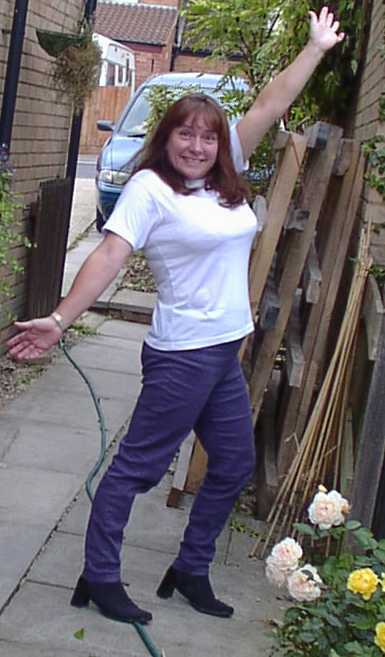 Since then, I have dropped three dress sizes, lost 2 stone in weight, kept it off for 3 years and have more energy and vitality than when I was 20 years old! All I can say is that it works! With a 30-day money back guarantee you’ve nothing to lose but weight and lethargy! "The result of my body change was bigger than the loss in lbs. I have a waist and sculpted arms and flat stomach"
Anna Massa "To everyone who reads this I recommend Herbal life weight loss products, believe me they really do work" Individual results will vary. Carmela Corrao "I lost quickly and my vitality is so much higher" Individual results will vary. Rocco Lacovacci "I hated diets, I tried lots and never found one that succeeded in keeping my weight down. they all made me hungry and frustrated in having to give up my favourite foods, however i did want to lose weight" I now have a body that I'm proud of ! Individual results will vary. Sandra and Richard Roufs "We felt great during the whole time and didn't have an overwhelming desire to snack" Individual results will vary.
. All references to weight control relate to the Herbalife Weight Management Programme which includes, amongst other things, a balanced diet, regular exercise, an adequate daily fluid intake, nutritional supplementation where required and appropriate rest, individual results will vary.The products are not intended to diagnose, treat, cure or prevent any disease.